Every now and then I come across the term "a blank mind". Can you please explain to me in detail what a "blank mind" is? I have read that one shouldnt drink alcohol or take drugs because they can make the mind go blank which can me dangerous. I have also read that one shouldnt meditate with a "blank mind". English is not my native language but when I translate the word blank into German it means empty. 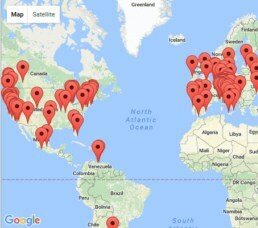 If I then Google "empty mind" I get loads of articles about how important it is to have a blank (empty) mind in meditation. So now I am totally confused. I would really love your help on this one. Thank you very much. The only meditation I have studied and practiced is Kriya Yoga as taught at Ananda. 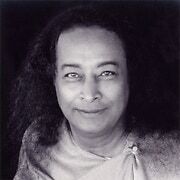 Kriya to me includes not just the technique learned through initiation after a year or so of preparation, but also the whole approach to spiritual life brought to the West by Paramhansa Yogananda. I was fortunate to find this path early, to be deeply inspired by it, and to have never felt the need to explore deeply any other way. So what I know of “blank mind” meditation was either told to me by others or picked up in snippets of reading here and there. It seems wiser, then, for me to describe “blank mind” from the point of view of Kriya – which recommends against it, as you have discovered – rather than trying to speak for it from the point of view of those who teach it. I prefer to do this also because often the words we use in languages other than Sanskrit to describe subtle states of consciousness are given meaning by those who use them and are not always self-evident or consistent from one tradition to another. Sanskrit has specialized in describing states of consciousness, whereas the speakers of other languages have not focused on these inner realities to the same extent and do not have such a specific vocabulary. This is a good example. “Blank” or “empty” mind in the Kriya tradition is not offered as a positive image, whereas in other traditions it forms the heart of the practice. Perhaps this is a fundamental disagreement or perhaps it is just semantics. 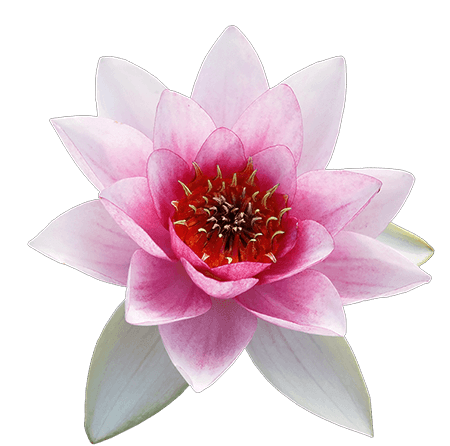 In Kriya practice, the emphasis is on devotion and will power. A blank mind is considered undesirable insofar as it is the result of low or passive energy. If by “blank” one means “still and focused” that would be entirely different. “Still and focused” are words we often use in Kriya because they are more precise than empty or blank. Even though meditation involves relaxation, the art of it is to let go of tension without also lowering one’s energy level. We know how to put out energy on the conscious level by keeping the mind and body active and busy. Meditation requires that we still both the mind and body, but not – as we are habituated to doing – falling into a state of subconscious sleep. Rather we must take all the energy that we usually direct in an outward way, and use it to keep the mind and body absolutely still in a state of complete, relaxed, alert awareness. No surprise that this is not so easy to do! Among other reasons, this is why in Kriya we do not recommend meditating while lying down on your back, even though this position allows you to relax with a straight spine. The association between lying down and falling asleep is simply too great for most people to resist! Because in meditation we have to withdraw our attention from what usually preoccupies it – mundane activities and thoughts – and because where we are going is a state of awareness often unfamiliar to us before we experience it, sometimes people will say, “Make your mind blank,” or “Empty your mind.” The meaning here would be to withdraw the mind from where it usually rests. The problem is succinctly described in the a statement taken from the scientific study of the natural world, “Nature abhors a vacuum.” What this means is that when one force is withdrawn, another will rush in to fill the now empty space. In meditation, an empty mind is very difficult to achieve. As soon as you withdraw your attention from one preoccupation, another will rush in to the fill the vacuum. 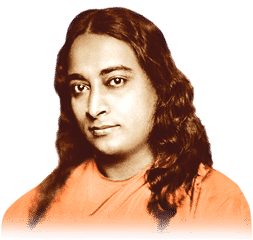 Thoughts, Yogananda explains in Autobiography of a Yogi, are not individually created, but universal streams of consciousness that we attune to and receive. We are not separate from the universe, but merely an individual expression of greater realities than just our own ego. Kriya Yoga is not like that. Kriya Yoga is about attuning to God. Satchidananda is the ideal way to describe it, since the word “God” in English has no clear meaning. Satchidananda means “ever-existing, ever-conscious, ever-new bliss.” It is definitely Something. Not emptiness. Not a blank mind. So in Kriya practice we are encouraged to withdraw from mundane realities and focus with great will power and relaxation (it is simple, but not easy!) on the Divine. Whether we define that impersonally or personally, as I said, it is definitely Something other than emptiness. The danger of an empty or blank mind comes from two possibilities. The first is simply that in trying to become blank, one may too easily fall into low, passive energy, which will not bring success either in meditation or in any other area of life. Think about it. Do passive, uncreative people without will power accomplish anything in any field? No, they don’t. Why, then, would this approach bear positive fruit in meditation? It wouldn’t make any sense. The other danger of the blank mind is the possibility of possession by disincarnate entities. “Nature abhors a vacuum.” If you are not using your mind, someone else may rush in to fill the empty space. Wow! That is scary! Definitely not something you want to mess around with. That’s why I respectfully concede that the seeming disagreement between the way Kriya Yoga is explained and other teachings that use “emptiness” and “blank mind” in a positive way could be more about semantics than anything else. Both alcohol and drugs do lessen your ability to control your own mind. They blur your focus and lessen your will power. The long-term effect of marijuana use, for example, which some people consider to be a “harmless” drug, is the inclination not to put out will power to accomplish goals. Under the influence of marijuana, trivial things appear profound, small stimulation brings great enjoyment. The “munchies,” for example are considered to be one of the great happy effects of marijuana – a delight in eating that is far greater than usual. As a result, habitual marijuana users begin to rely on getting high as a way to enjoy life and miss completely the divine truth that the greater our awareness and the more dynamic our will power, the greater the sense of true satisfaction. One need not live in constant fear of being taken over by a ghost; nonetheless, the fact is that disincarnate souls hover around in great numbers the places where people drink and take drugs looking for opportunities to slip into a physical body that is not their own, either for the duration of the substance-induced stupor, or for longer if blank-minded passivity has become that person’s habit. Disincarnate beings like this died while so focused on physical pleasures that their progression through the astral world and eventually into another physical body of their own has been derailed by their consuming desire to experience again the pleasures they feel have been taken away from them. Or, even worse, they are beings seeking to have power over others. Bad news any way you look at it! Normally, disincarnate beings are held at bay by the fact that a body is fully occupied by someone else. There is no room for another consciousness to come in. However, diminishing self-control and awareness by drugs or alcohol, or deliberately reducing your will power and blanking the mind, can be a way of opening the door for someone else to move in. Many crimes are committed under the influence of drugs or alcohol. Afterwards, the one who is imprisoned for the dastardly deed may say, “I have no memory of doing it and no idea why I would have done it.” Sometimes it was that person’s subconsciousness given free rein because conscious control was obliterated by mind-altering substances. But it can also be that, literally, someone else used his body to do it. The good news is, meditation practiced with will power, with a focus on higher realities, protected and guided by a guru, unequivocally slams the door against intrusion by these lower entities. There is no possible entry into your mind when you have lifted it, or are sincerely trying to lift it, into divine attunement. Question from Nair: Recently I saw a book in a bookstore about “dangers of meditation” and that left me thinking. Are there any dangers or side effects to meditation?